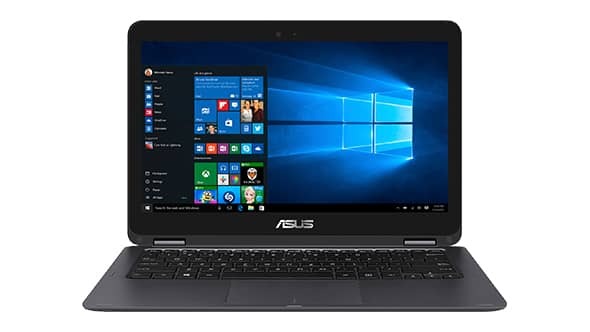 Microsoft Store is currently selling the ASUS ZenBook Flip UX360CA-UBM1T Signature Edition 2 in 1 PC for just $499. The actual price of the laptop is $749 but right now you can save $250. You can purchase the ASUS ZenBook Flip UX360CA by clicking here. ASUS ZenBook Flip delivers laptop productivity, tablet convenience, and everything in between on a 360-degree rotating display that flips to the perfect view every time. Performance is solid and smooth with an Intel Core m3 processor and 256GB SSD, while an ultra-thin and light frame pairs with up to 12 hours of battery life for excellent portability. Includes laptop sleeve. It comes with 8GB of memory and a 256GB SSD, you will get excellent overall performance with quicker access to files and lightning-fast bootups and shutdowns. It runs on Windows 10 and it will continue to receive future updates including the Windows 10 Creators Update. You can purchase the ASUS ZenBook Flip UX360CA by clicking here.